Last month, I visited Mexico for my first time and our visit consisted of spending several hours in Ensenada, which is a town in the northern part of the western coast of Baja California. My wife and I were in town as part of a cruise that docked there for about nine hours. After spending the morning still on the ship, we finally emerged to head out into town. While there from midday through the mid-afternoon, my compatriots and I wandered what seemed to be a pretty main street of activity in Ensenada, not far from the cruise ship docking area. Along this street, there were vendors of various tchotchkes, especially of the tourist variety. Additionally, there were, of course, various food places, but also bars. It was in these that my compatriots and I darted in and out of while there to avoid the rain. I know neither what Ensenada is like on a weekend, nor at night, nor do I know what it’s like when it’s sunny out, but I can share what it was like while we were there. Apparently, however, it seldom rains there, but we experienced mostly light rain with intermittent spells of either sprinkling, no rain, or even a little bit of sunshine. From walking around and shopping, it is unclear how the locals view this street or such shops, but my guess is that it is a tourist area that the locals do not particularly patronize, especially at one intersection, where there was a McDonald’s, a Starbucks, and other American offerings. We enjoyed several bars while there, amongst the numerous options. There is a certainly a variety of options for bars on the main street for people to enjoy, with quieter ones, as well as noisier ones. For instance, there was one bar that looked kind of sketchy and had really loud music playing, although they did offer a 10 beers option for only $36, but we skipped it. 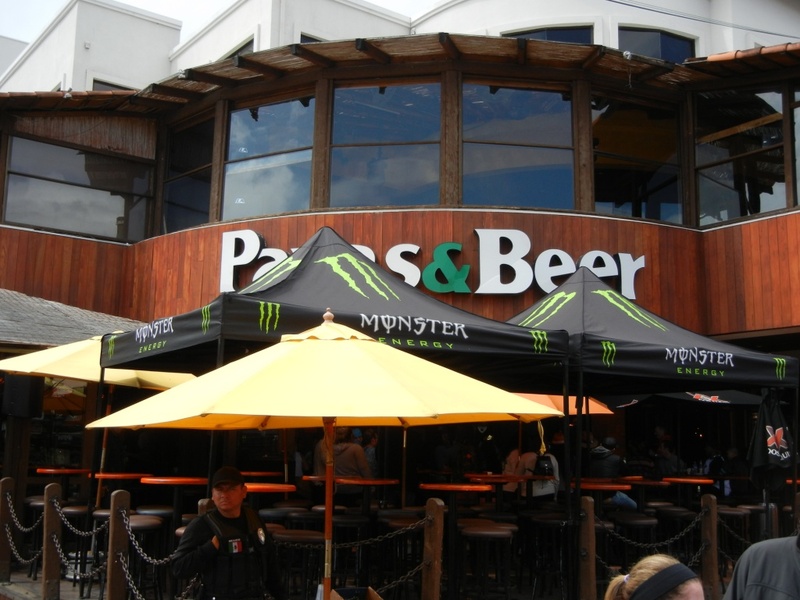 One popular bar that had a party-like atmosphere was Papas & Beer, which had great contemporary music playing and the people who showed up were certainly ready to have an exciting time. However, people can get raunchy there, which is interesting. A few steps away, though, is a huge contrast: Hussong’s Cantina has a cute and quaint atmosphere, where they had a mariachi band playing. It is definitely easier to have a conversation there than at Papas & Beer. Also, there’s a bar called Phosphorus, which was offering shots of a tequila for only a $1 (of course I had one)! 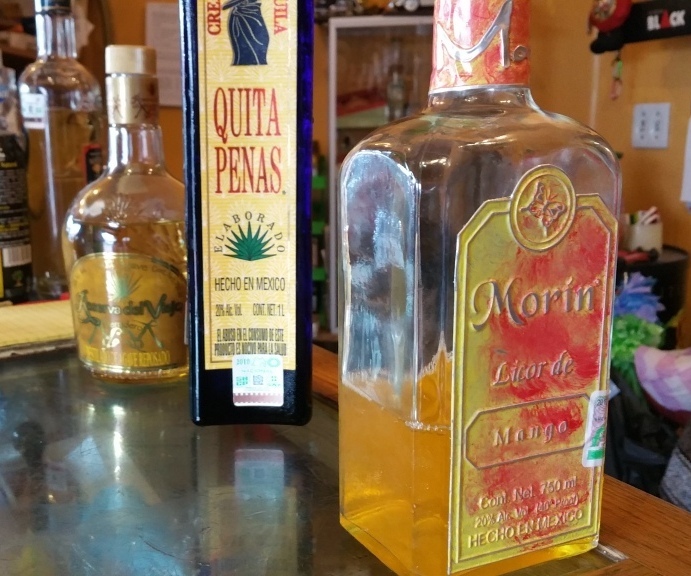 There are also several liquor shops, where people can pick up bottles of tequila, mezcal, and, of course non-Mexican liquor (I opted to get a bottle of mezcal). One place of interest was Tequila Room, which offered a free tasting! We had a little tasting of a reposado tequila, a crema de tequila (which was delectably sweet), and a mango liqueur, which was also tasty. Owing to the time, we only spent a few hours in-town, although it seems like a nice town and I wouldn’t mind visiting it again, particularly when it would be sunny out. Also, we only ventured out onto part of one main street. It would be nice to spend more time visiting the rest of that main street, as well as to check out other places beyond that main street, as well. Next story One Year of Matters of Interest!